The active ingredients in these pills have become corrupted. I know you are no doctor, but see if you can unravel this one. 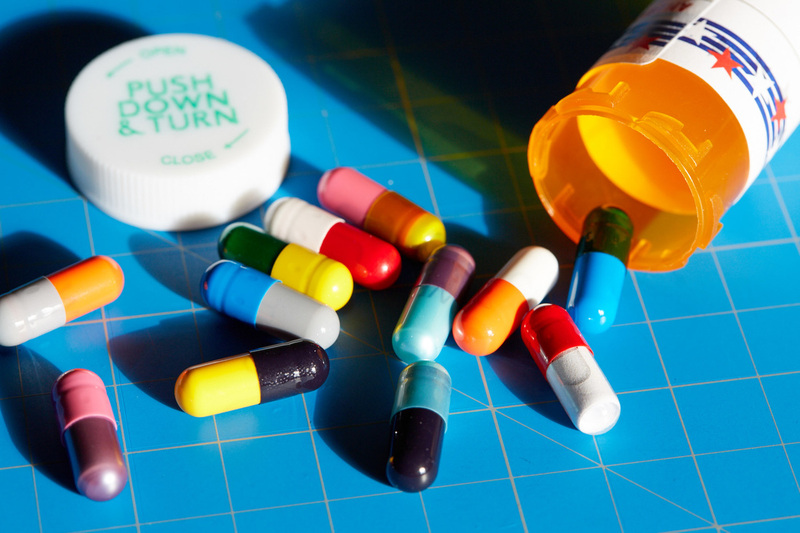 Players are given a bottle of twelve colored pills. Inside each capsule is a rolled up piece of paper. CODNNECTEDTODHADMMERANDDSTDIRRUP (FIDVE) has a transformation rule of "Insert a D into the third position". If you undo that transformation, you should see the intended clue is CONNECTED TO HAMMER AND STIRRUP, with (FIVE) being the length of the answer word. Some of the transformations are more involved than this. Perhaps taking the transformation on a clue and applying it to the answer of that clue would be interesting. Using our previous example, "Connected to the hammer and stirrup" is ANVIL, and inserting a D in the 3rd position gives us ANDVIL. The transformed answers each look like something you might find in a pill bottle, though with a little extra something. Each color is represented twice, except for the 2 that are only found once. Maybe that will help to order the pills. Special thanks to Capsugel for providing some gorgeous colored gelcaps!